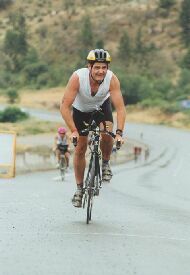 Stephen's Triathlon Page Another good personal triathlon website. French Triathlon Good site with lots of photos. Derek's Triathlon PageAn interesting and motivational short film opens this page. Now for something completely different...Eclectomania! Excellent source to Ironman sites! A great running magazine packed with useful information. Submit your website either by email or in my guestbook for all tri/du/running/cycling or swimming related activities. This Running Ring Webring site is owned by Glen Mofford . Click here for info on how to join The Running Ring Webring.